← Yanal Peninsula, Russia. July 16th, 2014. 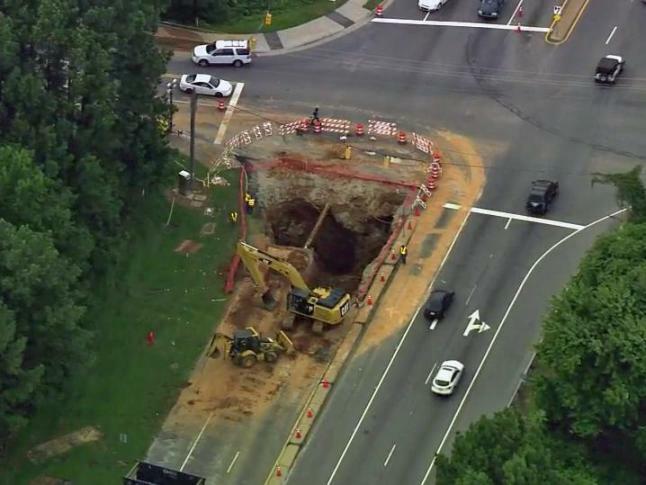 Crews will close the southbound lanes of Hammond Road at Rush Street Thursday morning in south Raleigh to begin making permanent fixes to a drainage problem that created a large sinkhole in September. North Carolina Department of Transportation officials awarded a $240,000 contract to Moffat Pipe, Inc., of Wake Forest, for the repair work. When the sinkhole opened, DOT crews digging up the road discovered that a broken drainage pipe had allowed water to wash away material underneath Hammond Road. 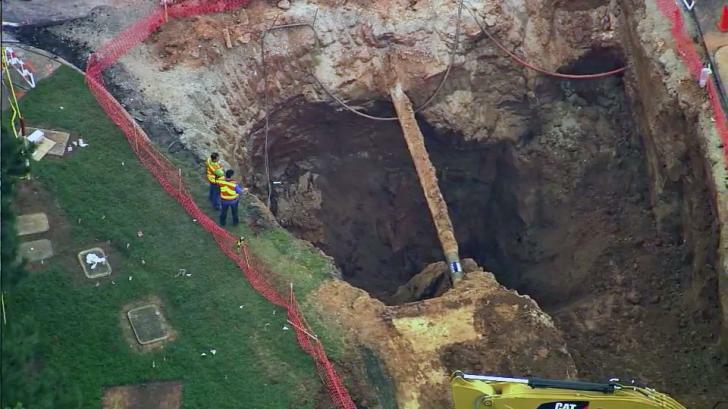 The pipe, which was about 25 feet below the road surface, was too dangerous for state construction crews to fix, officials said. A temporary fix allowed the road to reopen in late September. The permanent fix is scheduled to be completed by Jan. 16, officials said Wednesday. Southbound drivers will have to detour at Rush Street by turning right on South Saunders Street or left toward Garner Road. This entry was posted in Structure v Sinkhole and tagged North Carolina, sinkholes. Bookmark the permalink.